If I’m yon haughty lordling slave. By nature’s law design. Why was an independent wish. E’er planted in my mind? If not, why am I subject to. His cruelty or scorn? Or why has man the will and power. To make his Fellow mourn? London, Brighton, & South-Coast Railway. other requisitions of the men were compiled with. the company, and therefore would not work any of the trains of the Brighton line next day. Walter B. Bartellot, Deputy Chairman. tender them their hearty thanks for the consideration accorded to them. render their working more satisfactory to themselves, and s they believe, more beneficial to the Company. of 60 hours a week as proposed. that the men are so anxious to have their time defined by the day instead of week by week. in play words, and the difficulty is at an end. miles as superintendents may think expedient. amounts to £22,853, but they must say that this is the first time they ever heard of it. not at all satisfactory, and they cannot consent to work under them. abeyance, and that fewer trains will be run until men are secured. unless their demands are satisfied. frequently to less than five hours. The rate of wages paid by this Company is so liberal that no permanent loss will result in conceding the scale asked. will not spare the exertion to replace staff at the earliest possible period. London Bridge Terminus, March 25, 1867.
travelling, working, or telegraphing all over the system in order to provide against the contingency. By order, A. Sarle, Acting Secretary. Secretary’s Office, London Bridge, March 25, 1867.
as far as Hastings on the one side, and Portsmouth on the other side. freedom and vigour as sorely to test the patience of the officials who remained at their posts. old and experience drivers, who had been promoted from driving to act as “Foremen” at junctions and other important posts. are put to their old calling till the emergency passes over. by the Engine men, and delay and inconveniences have been borne in the best possible spirit. store for anyone who attempted to form a union. company, but two of which formed the main stumbling blocks and were the cause of the strike. them to have a minimum 60 hour week. dependent on seniority or experience. L. B. S. C. R.
RAILWAY COMPANIES AND THEIR ENGINE DRIVERS. hope that other Companies will follow suit, and end this vexed question in peace. the men on strike will not hold out long. 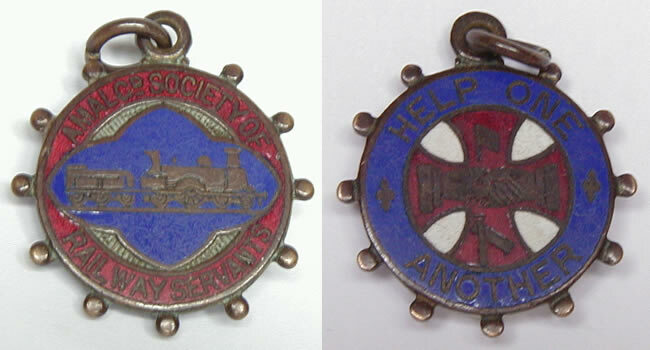 (who has for many years been connected with railway affairs). regards pay; nor would they yield to another demand-that the men who remained loyal should be dismissed. so far as the Brighton drivers were concerned, this decision being forthwith telegraphed to the London committee. day, the Brighton men work eight. Every train was sent off from Brighton yesterday, punctual to time. on well with the men that had been put on. main line trains were running the same as usual, as well as the Epsom ordinary trains, but not the extra race trains. 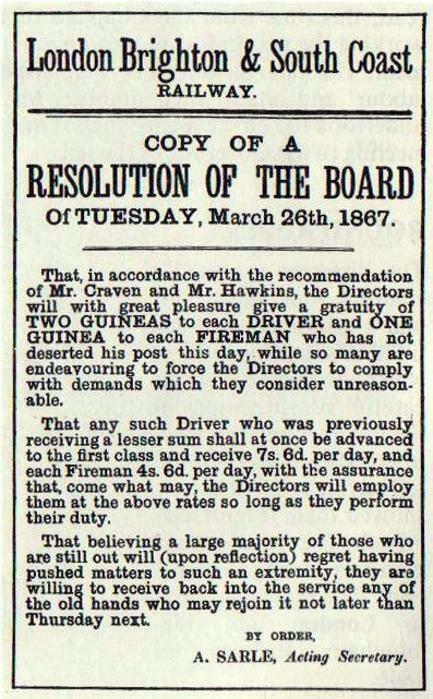 enginemen had bargained for, and this then made it hopeless for the London men to persist with the strike. this morning, that all those now employed would again send in notices. It was then hopeless for the London men to persist, and the strike fizzled out. the engines was stoned from a bridge near Brockley. running as normal and a full Suburban service resumed (London, Croydon, & Epsom). collision between the railway company and the directors. This being so, we have but little space for comment. Nor. some of the 400 or 500 men whom we hear Mr. Hawkins can in less than a fortnight procure from Belgium. be fostered. And it is on this essence of “unionism,” this “levelling” principle, that the “strike” has taken place. would processed and the injury it would perpetrate. 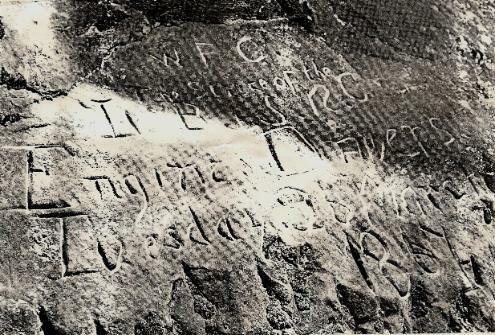 The engraving at Balcombe in October 2011.
date of the strike into the sandstone rocks at Balcombe. duration of the strike. Therefore was this carving done a Enginemen, whilst on a ballast train at Balcombe? It is alleged that the Engineman & Fireman where suspended for this shameful acted. It's hoped that one day we will find out more about the enginemen who done this engraving and the initals W.F.C. debated with much acrimony and ultimately rejected by the former company's shareholders. After fifty-six years this fusion became a fact in 1923.